This is the ninth post in my blog series in which I will feature people I know from the community: Salesforce employees, MVPs, User Group Leaders, Partners, and honestly, anyone who I’m connected with who is willing to share with me the answers to five simple questions. I hoping that this blog series will help everyone out in the community get better connected to others who are either like them, can help them, are nothing like them, can’t help them, or are simply people they haven’t met yet! After all, a stranger is simply a friend you don’t know yet. 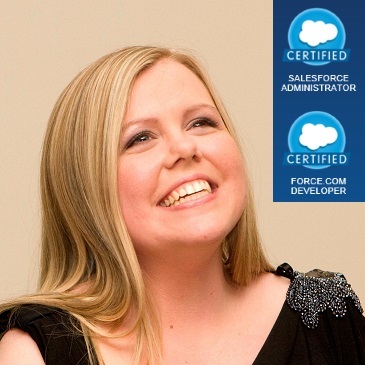 And now I introduce Salesforce MVP, Lori Witzel. What’s your job title? Senior Product Marketing Manager, Spanning Cloud Apps. You can find Lori on Twitter. This is the seventh post in my blog series in which I will feature people I know from the community: Salesforce employees, MVPs, User Group Leaders, Partners, and honestly, anyone who I’m connected with who is willing to share with me the answers to five simple questions. I hoping that this blog series will help everyone out in the community get better connected to others who are either like them, can help them, are nothing like them, can’t help them, or are simply people they haven’t met yet! After all, a stranger is simply a friend you don’t know yet. 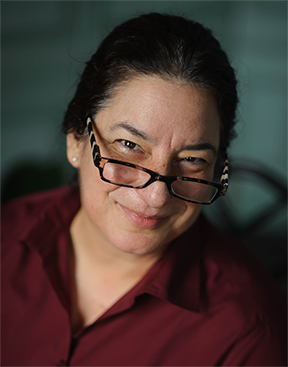 And now I introduce Bonny Hinners, the leader of the Bay Area Salesforce Nonprofit User Group. Bacon or sausage? Can’t I have both? Don’t make me decide. You can find Bonny on Twitter, and please read her blog too! 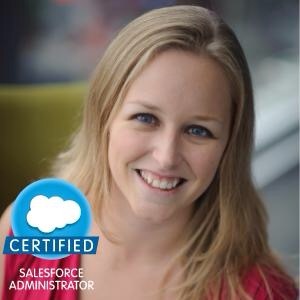 This is the sixth post in my blog series in which I will feature people I know from the community: Salesforce employees, MVPs, User Group Leaders, Partners, and honestly, anyone who I’m connected with who is willing to share with me the answers to five simple questions. I hoping that this blog series will help everyone out in the community get better connected to others who are either like them, can help them, are nothing like them, can’t help them, or are simply people they haven’t met yet! After all, a stranger is simply a friend you don’t know yet. And now I introduce Melissa VanDyke, the creator of the Admin to Admin Academy and the host of the Admin to Admin Academy Video Podcast. What’s your job title? Manager, Salesforce. (EFD – So you manage a team of Sales people?) MVD: No! I manage a team of Awesome Salesforce Admins at Orbitz Worldwide, the online travel agency. What does that mean you do? Lead Salesforce solution architect for the Global Hotel Strategy instance of Salesforce (~300 users); Management responsibilities for the Salesforce team (2 direct reports on my team); I oversee the Hotel Strategy Salesforce deliverables for all stakeholders; Full end-to-end project management responsibilities for all SFDC projects. From requirement gathering, documentation and development to implementation, training and roll-out/change management. (EFD – Uh, wow. That’s a lot. How do you have time for anything else, like your Admin to Admin Academy and podcast?) MVD: I use all of my free time thinking about ways to bring value to the community and creating content. I listen to every podcast I can find that helps empower me, so I stop being my own worst enemy (for example, I try not to say “I am too busy” and instead think about ways to find the time — like how I can watch 1 hour less of TV and write a post instead! LOL!). If interested in this type of thing, check out The Life Coach School Podcast by Brooke Castillo she is definitely one of my major heroes (along with Tony Robbins and Stephen R. Covey of course :))!! How long have you been involved with Salesforce.com (as a customer and/or an employee)? 5 years. (EFD – That’s a pretty good amount of time, in Salesforce years.) MVD- I actually started with Microsoft Dynamics, so it is technically 8 years’ experience of leveraging CRM as a platform for process improvement projects. Bacon or sausage? It’s bacon, or nothing..
What’s more important: Who you know, or what you know? It’s what you know about who you know. 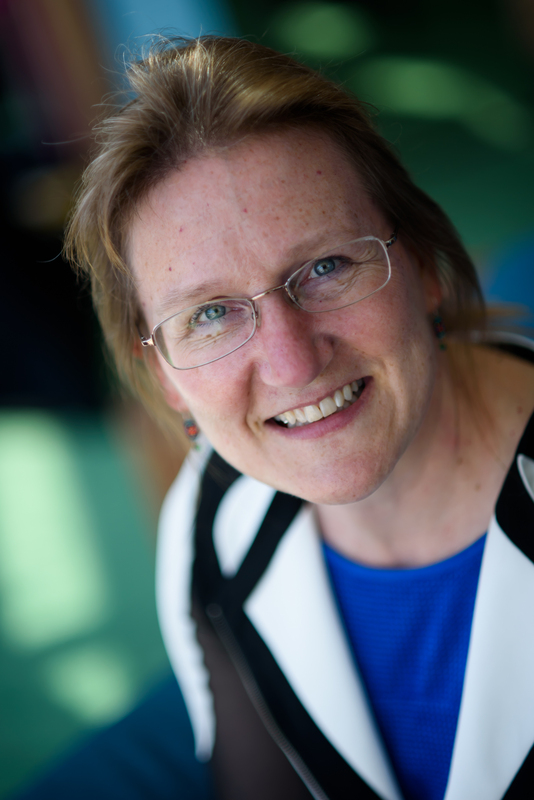 Listening and knowing your audience so you can learn from them and help them as necessary (EFD – Listening? What? Oh right, we have 2 ears and only one mouth, so we should listen twice a much as we talk, right?) MVD– Yes! And the key is to ask awesome questions that make people feel comfortable with you, making it clear that you are there to help them and solve their process pain! And now the bonus question – What’s one fact about you that few people know, that will surprise me and my blog readers? I was almost an amateur poker player. (EFD – Almost? Did you lose a bet and have to take a career path that led you to Salesforce instead?) MVD– Ha! I guess I was technically an amateur poker player because I had been playing tournaments and cash games in all of my free time for about eight years, then five years ago I seriously considered packing up and moving to Vegas to pursue my passion full time! In the end I decided instead to try and level up my career, knowing that if that did not work out I could fall back on the poker dream (and I can always retire early to try my hand at becoming a poker pro!). Luckily I found Saleforce shortly after, and have never looked back 🙂 I do miss playing poker tremendously, but now I spend all my free time creating content for the blog and podcast!! You can find Melissa on Twitter and be sure to check out her site.